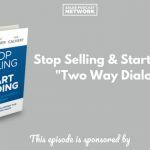 TSE 879: Stop Selling & Start Leading-"Innovative Seller"
As a seller, you’ll come across many people who are hesitant to change. Whether they’re prospects or others within your company, sales leaders must recognize the importance of change and the reason for it. More importantly, innovative sellers will use their influence to convince others as well. 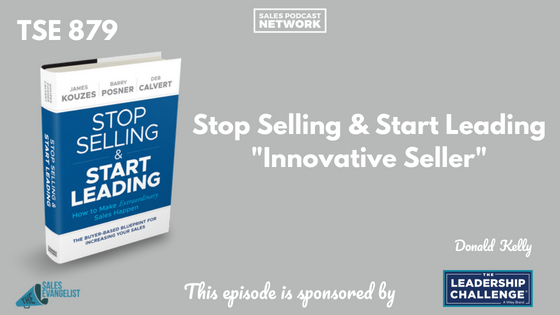 On today’s episode we’re talking about the book Stop Selling & Start Leading, and we’ll discuss innovative sellers and the role they play in the sales process. This is the second in our three-part series based upon the book Stop Selling & Start Leading: How to Make Extraordinary Sales Happen from our sponsors at Wiley. It’s a fantastic blueprint of all the things buyers say they expect and want from sellers. 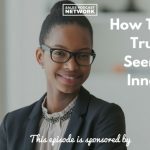 Our first episode on Monday was about building trust and innovating as sellers. Our third episode will be all about having meaningful conversations and two-way dialogue. You don’t have to listen to them in chronological order, but the series will help you move from being a subservient seller to leading your customers. CEOs bear the responsibility of looking into the future and anticipating changes that will come. They are responsible for the entire organization and ensuring that it makes money. In the case of Blockbuster, the leaders never innovated. They didn’t seek new ways to do things and they didn’t take risks. They refused to sacrifice their real estate holdings because they believed that streaming services were simply fads. Leaders must have vision. It’s a little like riding in a tall truck on a crowded highway: you’re able to see the way ahead and anticipate the problems that are coming. Leaders see problems and direct their teams accordingly. When sellers do the same thing, they establish themselves as trusted advisors to their customers. Although you shouldn’t change your entire business plan for one customer, if you can make small tweaks that benefit him, doesn’t it make sense to try it? The book Stop Selling & Start Leading tells the story of a seller named Maddie who spent 198 days connecting with a prospect that she believed she could help. She sent emails, visited, texted, called, and did everything she could think of to grab the craft brewing company’s attention. The company needed a good designer to create a package design that fit its product but it wasn’t doing much volume, so many larger companies weren’t interested in helping. Despite the fact that the company had only sold 30,000 units the previous year, Maddie believed she could help. She took a calculated risk and engaged. The packaging came out perfect, and the company loved the finished product. And in the following year, they sold 100,000 units. Maddie took a risk because she understood the company’s vision. In the future, a sales leader in the same position could take that experience and encourage other existing labels to develop craft divisions. Or she could pitch the idea of updating their labels. Our friends at Wiley have provided a free excerpt of the book Stop Selling & Start Leading. Based on research and interviews with buyers, the book provides a blueprint for sales professionals. Read an excerpt of the book here. They’ve also created a SlideShare free for you to use or download. Check out the Video Jungle podcast, your source for marketing and selling your brand using video. Plan, create and share your way to better content and strategy. You are a brand, and video can help you set yourself apart. Leave us a review wherever you consume this content, and share it with someone else who might benefit from our message. If you haven’t already done so, subscribe so you won’t miss a single episode.